Adults with high blood pressure are more likely to develop dementia. A recent study attempted to better understand the ages and blood pressure levels that were most associated with dementia. For many years, doctors have known that having high blood pressure, also known as hypertension, increases the risk that someone will develop dementia. For example, one study found that older adults with high blood pressure were 60% more likely to develop dementia compared to those with normal pressure. Despite this, clinical trials have found that drugs that lower blood pressure does not seem to prevent dementia. One possible explanation for this paradox is that doctors are prescribing drugs too long after the onset of high blood pressure. It is also possible that blood pressure targets were too high, and that even moderately high blood pressure requires medical intervention. To better understand this paradox, a group of European researchers have investigated the relationship between blood pressure and dementia in a large group of British civil servants. The results of their study were recently published in the European Heart Journal. The Whitehall II study started in 1985 and included 10,000 British civil servants. Since then, the study participants have been examined every few years. The researchers, therefore, had three decades-worth of blood pressure measurements for each participant. The researchers also searched the participant’s medical records and noted when they were diagnosed with major diseases, including dementia. They then compared the onset of disease with the long-term blood pressure records, starting at age 50. There were 8,639 participants who turned 50 at some point during the study. Of these, 385 eventually developed dementia. The researchers examined the participants’ characteristics at the age of 50 to see which traits were associated with dementia. They found that participants with dementia had had, on average, less education and lower-ranking jobs compared to those who did not develop dementia. Participants with dementia were also more likely to have had a serious illness, such as heart disease. Not surprisingly, they also had had, on average, higher blood pressure. There are two types of blood pressure: systolic and diastolic. Systolic blood pressure is measured as the heart is contracting, forcing blood through the arteries. Diastolic pressure is measured when the heart is relaxed and is therefore lower than systolic pressure. For example, if your blood pressure is reported as 105/70 mmHg, then the systolic pressure is 105 and the diastolic pressure is 70. The American Heart Association currently defines “normal” blood pressure to be less than 120/80. A blood pressure reading greater than 130/80 is considered to be high. In this study, diastolic, or relaxed, blood pressure didn’t affect the risk of dementia. In other words, participants with high diastolic pressure were not more likely to develop dementia. On the other hand, 50-year-old participants with a systolic blood pressure higher than 130 mmHg were at least 30% more likely to develop dementia. As participants aged, more of them developed high systolic blood pressure. However, developing high blood pressure later in life did not seem to increase the risk of dementia within the study period. Only prolonged high blood pressure, defined as greater than 130 mmHg for almost two decades, seemed to increase the risk of dementia in the study participants. High blood pressure is known to increase the risk of heart disease and strokes. These diseases could then lead to dementia. Therefore dementia could be only a secondary consequence of high blood pressure. To investigate this possibility, the researchers re-analyzed their data including only participants without heart disease or stroke. They found that even the remaining ‘healthier’ participants were almost 50% more likely to develop dementia when they had high blood pressure. In other words, the researchers found that high blood pressure could lead to dementia independently of heart disease or stroke. It is important to emphasize that this study only followed the participants for three decades, with a final age range of 67 to 87 years. Participants who developed blood pressure later in life may still be more likely to develop dementia, but just later in life. But the bottom line remains that it is important to control blood pressure, even if it isn’t high enough to pose an immediate risk to health. 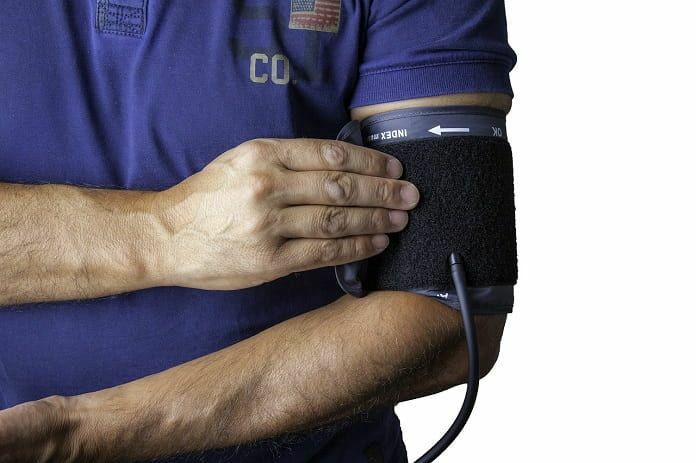 The researchers point out that high blood pressure can cause problems with blood circulation in the brain. This could lead to minor strokes that the victim may not be aware of. If this continues for a long time, even these minor events could add up, damaging the vulnerable material of the brain and increasing the risk of dementia. This supports other research by showing that it is important to control blood pressure, even if it isn’t high enough to cause immediate health problems. (2) Reading the new blood pressure guidelines. Harvard Men’s Health Watch, Harvard Medical School. https://www.health.harvard.edu/heart-health/reading-the-new-blood-pressure-guidelines. Accessed June 24, 2018.